Is Helping Your Child With Homework Beneficial? Check How To Help! Now that October report cards are here, many parents will be asking themselves how they can help their child more with their grades. Is it okay to help them with homework, or should it be 100% on them? The short answer is – yes, it’s more than okay! Helping with homework involves a lot of challenges and poses a lot of questions, but once you find the right approach to it, both you and your student will benefit. Here we will explain why, and we’ll also give you some tips on how to work through the challenges. Confidence. For some children, school is a piece of cake – they’re motivated, hard-working, and bursting with confidence about their grades. Yet for many of them, things aren’t so easy, especially at school where the teacher cannot focus on each student individually. But you can. At home, you can offer them the chance to develop and show off their skills without worrying whether their answer is correct or not. And after a while, this way of thinking will transfer into their school environment, giving them the confidence to help them progress. Closeness. This part is especially important if your child is a teenager. As they grow up, children start craving more autonomy, becoming closer to their peers and spending less time with their parents. So bonding over homework and creating a welcoming atmosphere at home could be rewarding for your child, as well as you. Thanks to this interaction, you’ll be aware of what your child is currently learning, what their aspirations are, and whether you share an interest that could allow you to talk to them more. If you have a child who’s currently in school, they’ve probably asked you to help them with homework a couple of times. You might have sat down with them, helping them with the difficult steps, or encouraged them to come up with the answers themselves. And while doing homework helps them understand school materials better, it also raises some questions parents often ask – How can I help them with their homework without solving too much for them? Should I monitor the whole process or just help them with the most difficult things? Am I capable enough to help them? – and so on. To help answer these questions as well as any others you might have asked yourself, let’s start with a few tips on what to pay attention to when the time comes for your child to open the textbook. Atmosphere. While being knowledgeable about the topic at hand is likely to help you aid your child, it’s far from all that’s important. Even if you’re not too familiar with the topic they’re asking you about, you can still help by providing a good learning atmosphere that will help them concentrate better. And later on, who knows – maybe they’ll be able to come up with the answer themselves! Now, what constitutes a good learning atmosphere? This is different for every child, so there’s no simple answer. Let’s start with the way they act in their school environment (you will understand this one best if you contact their teacher and ask them). Are they usually interested and able to concentrate in class? Are they active and asking questions? If the answer to these is mostly “yes”, then you should create a similar, more structured atmosphere for homework as well. You can offer to time them as they do their homework or make sure they’re sitting at a desk clear of unnecessary and distracting things (such as a phone). Learning style. This is similar to atmosphere, but it’s more about details than the amount of structure. Parents who understand their children’s learning style are better able to explain something to them in a way they will understand. While some children can sit in front of a book for hours, just reading and soaking up the knowledge, others do better with visual representation, so make sure to tailor your explanations to their individual style. Rewards and incentives. While it’s true that children should internalize the need to study and do well at school, giving them some rewards and incentives can help them along the way. A lot of children, both younger and older, tend to put off their homework until after they go out with friends, or until after that new episode of their favorite TV show is over. Instead, you can offer them a reward for after they finish homework. It should be something they really enjoy – a bigger allowance, a favorite dinner, slightly delayed bedtime, or a promise to take them to the concert they want to go to. Once you offer them something you know they want, they’ll be more motivated and get to their homework faster. Don’t be a prison guard. If you know your child’s motivation for homework is pretty low, you’ll be tempted to check their homework every day, maybe even against their wishes. And while some children like to have all their answers checked, others might feel as though they’re being constantly monitored and not smart or good enough if they get more than a few wrong. So, how do you best work with these different points of view? You can try to meet in the middle. For example, you can offer to check on the part of homework they find the most difficult. That way, they keep their autonomy for the majority of the assignment, but you’re showing them the importance of doing their work correctly at the same time. 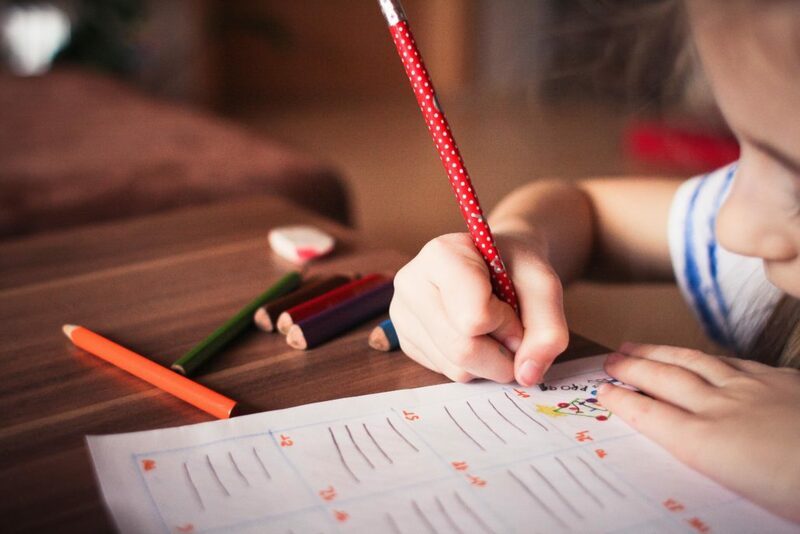 Now that you’re familiar with some of the tips you can use to help with homework, it’s only fair to mention some of the challenges parents might face themselves – the most important ones being time and knowledge. Time. For some parents, squeezing in homework time can be difficult. You may work long hours and once home, you may be too tired to give your full attention to school assignments. So one fair solution could be to split the homework tasks – Dad could help on Mondays, Mom on Tuesdays, and so on. But this isn’t an option in all households. And while you may decide to give it your all and try to help despite being tired, if the homework takes too long, you may get even more tired and frustrated, which doesn’t help the situation. Knowledge. Some parents might feel as though they’re not up to the task when asked to help with homework, especially when it comes to older students. If you tend to think this but still want to help your child, the first thing you should do is talk to their teacher. Ask what they’re currently learning and, if time allows, you can also ask the teacher to recommend some books so you can familiarize yourself with the topic. Create a positive atmosphere. As we mentioned before, giving an answer and being knowledgeable about the topic at hand are useful, but that’s not the only way you can help with homework. Needless to say, every family is different. So if there’s still some issues not mentioned here, there’s plenty of experts willing to help you. If you need any advice in regards to homework, you’ve come to the right place! https://nobelcoaching.com/wp-content/uploads/2017/10/homework.jpg 2592 3888 Nobel Coaching https://nobelcoaching.com/wp-content/uploads/2017/12/nobel-coaching-and-tutoring-logo.png Nobel Coaching2017-10-25 18:13:092019-04-10 09:21:19Is Helping Your Child with Homework Beneficial?